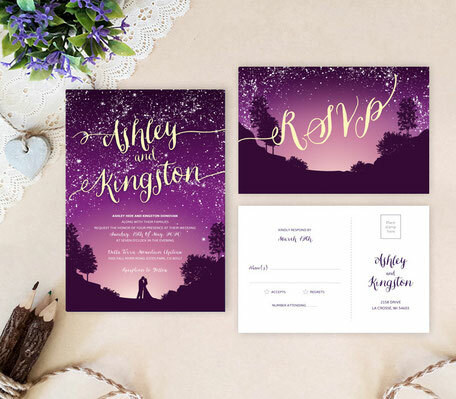 A sweet nighttime ceremony is the perfect match for our Romantic Wedding Invitation. 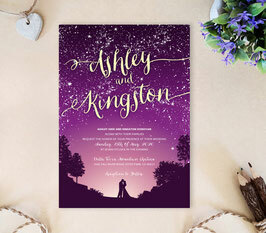 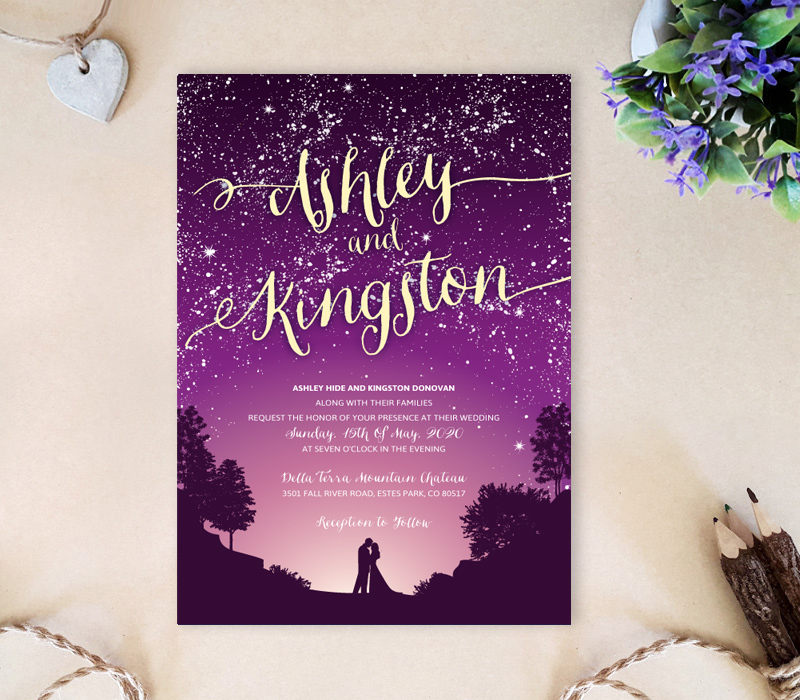 Our invites showcase a peaceful scene of a lovely couple under a star filled sky. 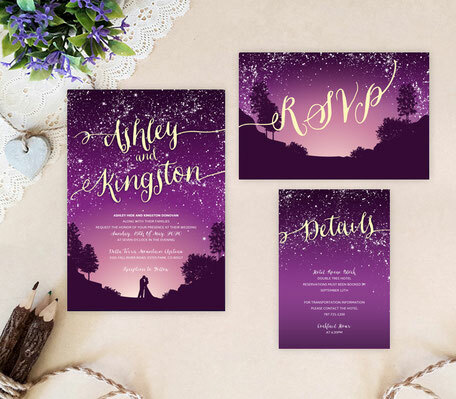 These impressive wedding invitations are printed on premium card stock and highlighted with a soft purple hue along with timeless calligraphy.